“How many years have you been living in Beirut?” I asked my barber, Eyad, after he told me, beaming, that in three months from now, he will be returning home, to Damascus. Even one year ago, such conversations would not be easy to commence. But now, everything has been changing, rapidly and, one wants to believe, irreversibly. Although nothing is truly irreversible, the better things are on the ground in Syria, the more threatening the West is becoming, particularly the United States. Now it is, once again, intimidating Damascus, ready to attack the Syrian army, something that could easily drag Russia and others into a lethal confrontation. The war! The West is clearly obsessed with perpetual war in Syria, while most of the Syrian people are passionate about bringing back an everlasting peace. “After you go back, then what? Are you going to open your own salon in Damascus?” I was curious. He is the best barber I have ever had, a real master of his trade, quick and confident, precise. I knew nothing about Eyad’s political affiliations. I used to consider it impolite to ask. Now I sensed that I could, but I didn’t. He was going back, returning home, eager to help his country, and that was all that mattered. 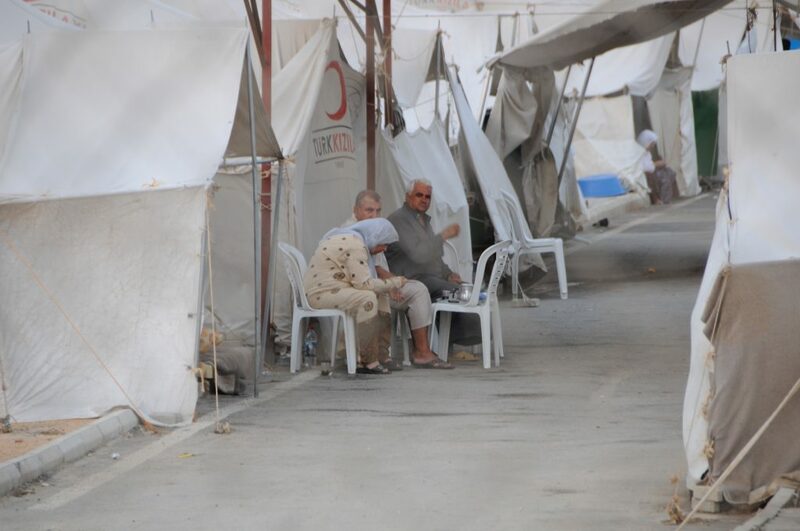 “About 1.5 million Syrians have sought refuge in Lebanon, making up about a quarter of the population, according to officials and relief groups, and there is a widely held belief in Lebanon that refugees are a burden on the country’s economy and social structure. Mr. Tahan, a gregarious man who sought to portray himself as the refugees’ benefactor, dismissed the idea that they are harming the country’s economy and straining social services. He said the government pushed that view to get more money from the United Nations. Refugees, he said, benefit the Lebanese, from the generator operators providing them with electricity, to the owners of shops where they spend their United Nations food vouchers, to landowners who benefit from their cheap labor. It is an argument often heard from international organizations, which say the burden of hosting the refugees is largely offset by the economic stimulus they provide, not to mention $1.9 billion in international aid in 2016 alone, the United Nations says. One would hardly encounter such a tone when the New York Times is describing the ‘refugee crises’ in the European Union. There, several super-rich and much more populous countries than Lebanon keep pretending that they simply cannot absorb approximately the same amount of people as has been sheltered by the tiny Middle Eastern nation. In 2015, which is considered the ‘height of the refugee crises’, much less than 1.5 million people entered the European Union, seeking asylum there. Some of those 1.5 million were actually ‘refugees’ from Ukraine, Kosovo and Albania. I covered the refugee crises from Lebanon, Jordan, Turkey, but also the so-called ‘crises’ in Greece (Kos) and France (Calais). The West, which by then had already destabilized half of the world and almost the entire Middle East, was demonstrating extreme selfishness, brutal indifference, racism and a stubborn refusal to repent and to comprehend. Whoever Mr. Tahan of the New York Times is, and whatever his agenda, he was wrong. 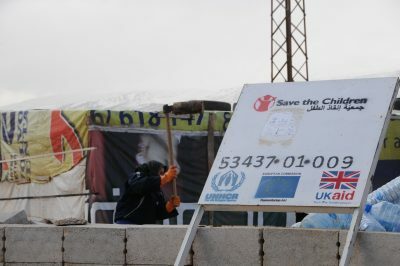 As this report goes to print, the number of Syrian refugees living in Lebanon is dropping continually, as the Government in Damascus, supported by Russia, Iran, China, Cuba and Hezbollah has been winning the war against the terrorist groups, armed and supported by the West and its allies. “… The 36-year-old is back home in Aleppo. He returned last summer – depressed, homesick and dreading another winter, he couldn’t bear life in the German city of Suhl. The number of Syrian immigrants on the Lebanese territory has already dropped below 1 million, the first time since 2014, according to UNHCR. People are returning home. They are going home by the thousands, every week. They are moving back from Lebanon, Jordan, Turkey, and even from that once imaginary paradise –the European countries such as Germany – which somehow failed to materialize, and even to impress many people from a country with one of the oldest and greatest histories and culture on Earth. 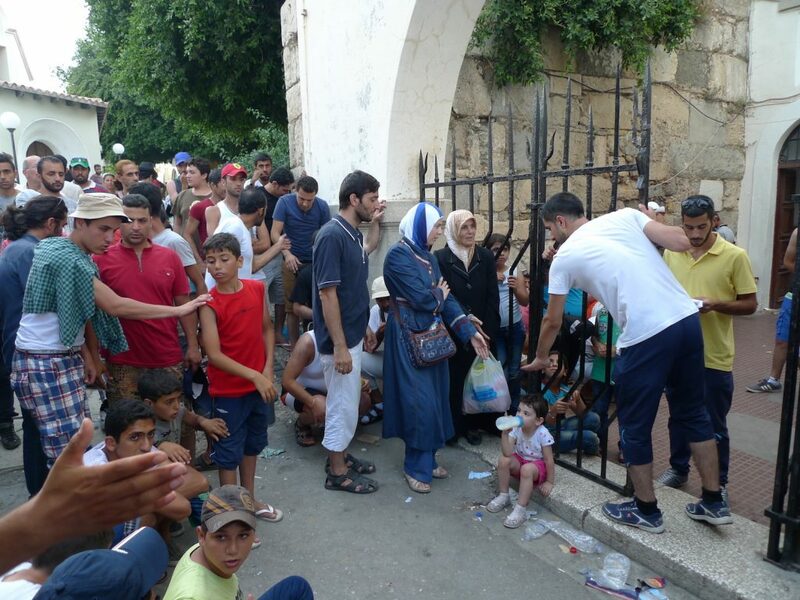 The West did not expect such determination from the Syrian refugees. It was used to those migrants who have been coming from countless ruined and destabilized countries; people who were able to do just about anything and to say anything, as long as they were allowed to stay in the West. “Not far from the oilfields, there is a massive refugee camp; this one is for the Syrian exiles. I am discouraged from interviewing people, but I manage to speak to several refugees anyway, including Mr. Ali and his family, who came from the Syrian city of Sham. 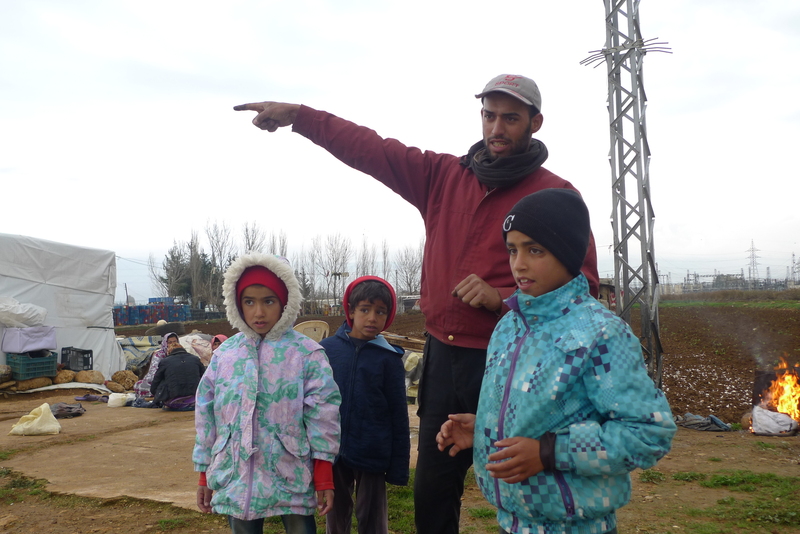 I met Syrian refugees all over the Middle East, as well as in various European countries. Almost all of them felt nostalgic, even desperate, about being away from their beloved land. Most of them wanted to return. Some of them couldn’t wait for the first opportunity. I knew Syrians who had visas in their pockets, even to such places like Canada, and they decided, at the last moment, not to leave their Motherland. Syria is truly a unique country. The West did not expect; it was not used to such determination from the people whose lives it destroyed. They are going back now. And the West does not like it; it hates it. It likes to whine about how it is being used by ‘those impoverished hordes’, but it cannot really live without the immigrants, particularly from such educated countries like Syria. Not only did the Syrian people fight bravely, defeating the brutal invasion of the Western-manufactured, trained, and financed, backed terrorists. But now the refugees are turning back on false and often humiliating comfort of the exile in Europe, Canada and elsewhere. Such attitude ‘has to be punished’. For such courage, the Syrian cities and victorious Syrian army may be soon bombed and attacked, directly by the US and possibly also by the European forces. In Beirut, as I was finishing this essay, I was visited, briefly, by two of my friends, Syrian educators, one from Aleppo, and the other, from Damascus. “It is getting tough again,” I said. “The US is saying it may attack the country, directly”, I uttered. Despite the new dangers, emboldened, the Syrian people are flowing back to their country. The Empire may try to punish them for their courage, patriotism and determination. But they are not scared and they are not alone. The Russians and other allies are ‘on the ground’ and ready to help defending Syria. The entire Middle East is watching. Andre Vltchek is a philosopher, novelist, filmmaker and investigative journalist. He has covered wars and conflicts in dozens of countries. Three of his latest books are his tribute to “The Great October Socialist Revolution” a revolutionary novel “Aurora” and a bestselling work of political non-fiction: “Exposing Lies Of The Empire”. View his other books here. Watch Rwanda Gambit, his groundbreaking documentary about Rwanda and DRCongo and his film/dialogue with Noam Chomsky “On Western Terrorism”. Vltchek presently resides in East Asia and the Middle East, and continues to work around the world. He can be reached through his website and his Twitter. Andre Vltchek is a frequent contributor to global Research.